This lecture is jointly presented with The University of Melbourne Library and ASA Cultural Tours. 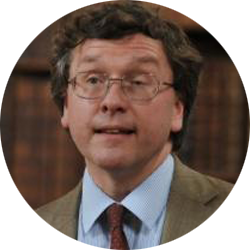 Giles Mandelbrote is the Librarian and Archivist of Lambeth Palace Library. He previously worked for nearly 15 years at the British Library as one of the curators responsible for the national collection of books printed in Britain during the sixteenth, seventeenth and eighteenth centuries. Among his publications are Out of print & Into Profit: A history of the rare and secondhand book trade in Britain in the 20th century, and volume II (1640-1850) of The Cambridge History of Libraries in Britain and Ireland, edited jointly with K.A. Manley. Lambeth Palace Library is the historic library of the Archbishops of Canterbury and the principal archive for the Church of England. Its collections today comprise: almost 5,000 volumes of manuscripts, including medieval illuminated masterpieces such as the giant twelfth-century Lambeth Bible, archival records of bishops, churchmen and missionary societies, and over 200,000 printed books. This illustrated lecture will trace the history of the foundation and growth of the library and explore some of the treasures of its early collections.